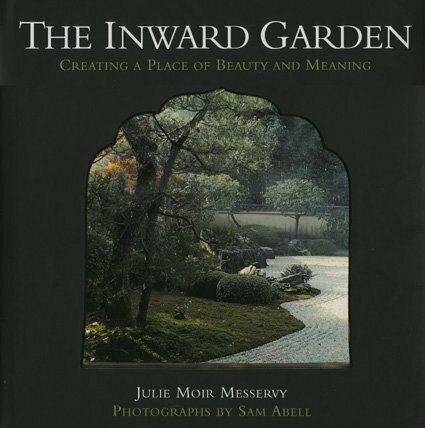 The Inward Garden was first published in 1995, and with it Julie Moir Messervy introduced a movement in landscape design that inspired individuals to embark upon a voyage of discovery of the natural world outside and the contemplative spirit within. Unlike other authors who focus almost entirely on practical design elements of gardening, Messervy beckons you to identify the atmosphere and mood of a very personal garden you can create. She tells readers to think back to those places in memory that have given them the greatest joy and ease, either as children or as adults, and to use those memories in creating a retreat or garden of the mind in one's own backyard. Messervy asks readers to feel the space around them and to use their hearts and minds to figure out how to turn this imagined space into a reality. Culling from archetypes and spiritual insights, guided by the practical methods of hands-in-the-dirt gardening, the result is a happy blend of myth and art with logic and organization. Evocative, poetic, and beautifully written, The Inward Garden gives the reader a process for designing a dream garden. Based on garden archetypes the sea, the cave, the harbor, the promontory, the island, the mountain, and the sky ó the book provides a structure for imagining the garden of one's desires and a practical process for designing this personal garden. Messervy describes in detail each of these archetypal gardens, and each archetype, along with subsequent designs, is magnificently illustrated with lush garden photographs by acclaimed National Geographic photographer Sam Abell. The text and illustrations take the reader on a step-by-step walk through gardens great and small, analyzing landforms, inspecting soil, studying light, all with the goal of teaching one how to design a garden by following one's own creative impulses.